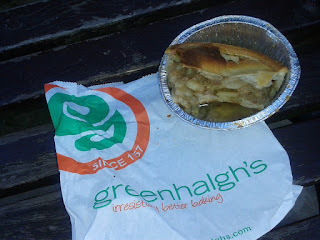 This Greenhalgh’s Meat and Potato Pie review forms part of our #WiganPieWeek set of reviews. 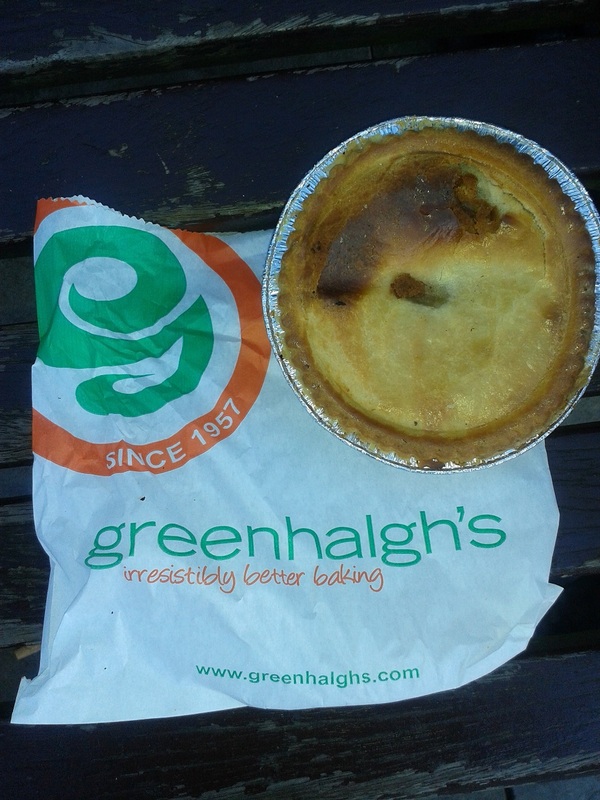 This week we are rating 5 pies from Wigan on our 7 Cs of pie rating. 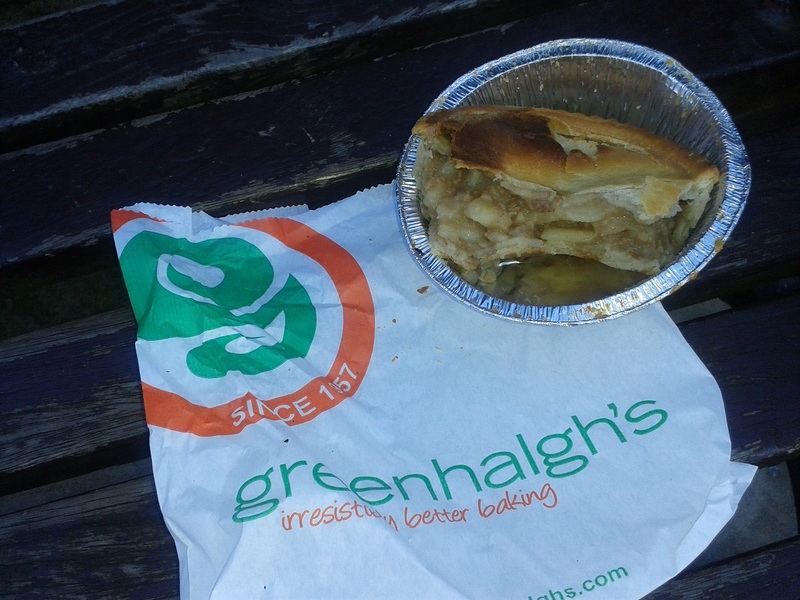 Find out more about our quest in our overarching “Wigan Pie Week” article! Unfortunately the condition of this pie was not up to scratch. The lid had a clear blemish in it, where you could see that the top layer of crust had risen and over-crisped, compared to the under layer of pastry which was quite soft. That aside, the edge crimping of this pie was also overly crisp, while the side and base pastry was rather anaemic in colour. At least it held together a bit better than some other meat and potato pies I’d eaten, both prior and during eating. Inside, the pie content consisted of small pieces of mincemeat interspersed between rather large chunks of potato. I didn’t really enjoy the consistency and the flavours in this meat and potato pie compared to the other meat and potato pies on offer in Wigan. A comparable price at £1.55 for a decent sized pie, but I wouldn’t choose to eat this pie again.